Calculate the right amount of withholding from your pay check with the W-4 Calculator Often times when a client who is an employee that has a tax liability due at the end of the year can prevent owing in the next year by simply adjusting their withholdings on their W-4 form. This calculator will help walk you through the process. Get all the latest information from the IRS Newsroom Learn about tax laws that may affect your tax return. 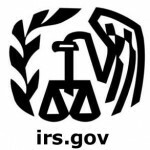 This section is helpful whether you are an individual taxpayer or business. I encourage you to check out the IRS website if you are interested in utilizing these features or learning more about taxes. If you have any questions regarding your tax situation or filing please feel free to contact us.